Utopian is a platform that empowers the open source community, bringing together specialists from a variety of fields! Graphic Designers, Developers, Copywriters, Bug Hunters, Marketers and more join, with a main goal in mind. To bring open source closer to the real world. Utopian plays a significant role in this, because it can unite projects with marketers into promoting their products through a variety of marketing channels. During the past few weeks, all of the contributions we have been seeing were facebook ads. I have posted a number of suggestions in my reviews, however I believe I should create a post just for this! 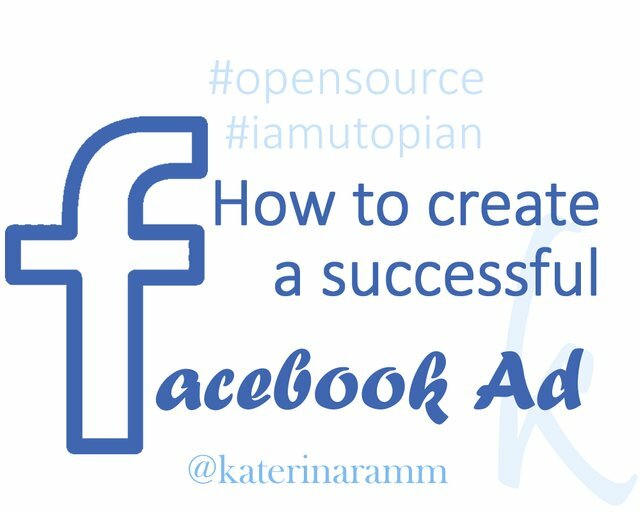 You need to have a Facebook business page! Your name, profile image, cover image should be your intellectual property and no intellectual rights should be infringed. It is important that you know what it is you are promoting. What this project is about, what its features are, what problems it may solve or questions it can respond to. You should also understand who would be interested in knowing about it and using it. What should the message to the world be? Your goal is the most important starting point; it will define your (CTA) Call To Action and your ad creation. This blog by hootsuite explains it perfectly. Decide on one simple action you want people to take. Think About: Who do you wish to Approach? Different people need different ads to interact. 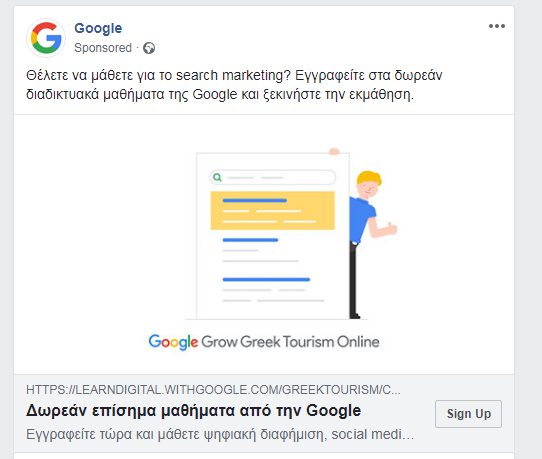 Before creating your ad think about your target group. What will the country be, will you be targeting both men and women? What about their ages and interests? You need to keep this information in mind when you will be crafting your creative. Users have a very limited attention span on Facebook. Your message needs to be accurate, simple and very clear to be able to catch attention and engagement. You can read here some advise about creating compelling ad copy. 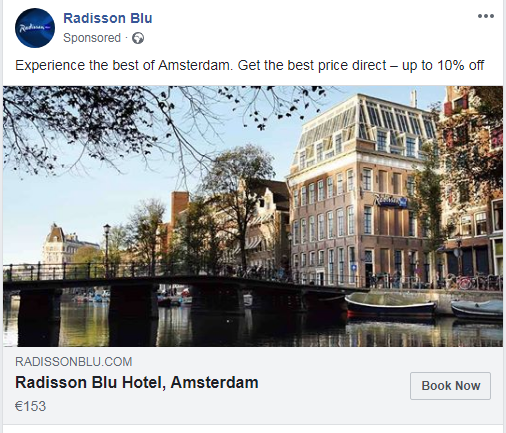 Below you will find one of my favorite hotel brands. Smart, clear and concise messages, right to the point! A Visual should match the ad copy, it should be appealing, remembered and relevant. According to hubspot.com, the ideal dimension for the News Feed photo ads is 1200x628 pixels. Some examples by the pros! Clean copy, expressive and relevant visual, clear call to action! These ads do 'talk' to the targets! Note You can use the free version of tools such as canva or free image repositories such as pixabay, pexels etc. 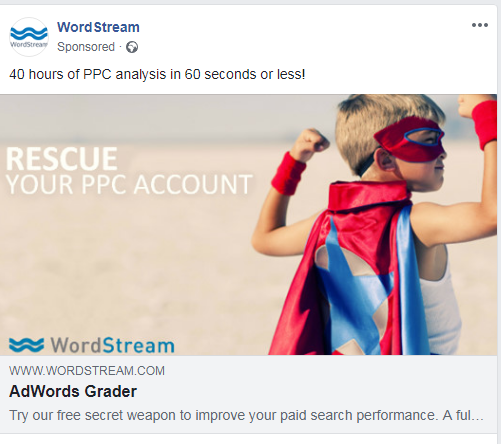 I used to work for a great manager who used to say..
"Plain Numbers do not mean anything if you cannot interpret them right"
Getting back to our subject: Facebook Ads and their statistics.. Reaching an impressive reach number of 10.000 and more may seem important, but without leads or engagement, 10.000 reach might mean little to the project. A successful ad depends on the initial goal set and its outcome. Your ad needs to be remarkable, remembered, powerful! Take some time to learn more about the project, find out what the users love about it and what problems it solves. Does the project concern users from a specific region? Where should it be targeted? This will help you think of the best way to write the caption and select the visual to go with. 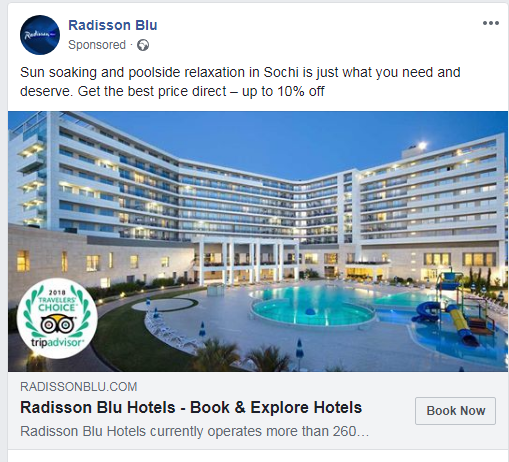 What did your previous ads (if any) for the same project taught you? Thank you for taking the time to read, please find below some useful links and feel free to contact me with any questions! Thank you for providing this useful post. The post is well-written and highly informative. With all the information within, anyone willing to promote FOSS on Facebook should be able to promote effectively. I find this post more pleasant among the post in the series. I hope our current and potential open source marketers continue to read every information you provide.